Four four-inch tiles. The ravens are done with a two part glaze process where I apply a strontium carbonate based glaze underneath one of my usual glazes. It gives the top glaze a reduction fired look, or a variegated matte/semimatte surface. The flower has a single glaze but it was underfired to give it a matte surface and is not as variegated as the double application. The double glaze process takes more time so the tiles are priced at $40 whereas the single glaze process is $35 per tile. The tile business is always slow at the beginning of the year and then gets unbelievably busy by about mid June. I participated in a local show here in Anchorage last weekend but didn’t sell a single tile. My main customer is the visitor to Alaska that is looking for something made by an Alaskan Native, with local materials, and with traditional themes, motifs, and stories. And they don’t show up until after break-up (When the snow piles finally melt away). I should be thankful that I have a niche. Former civil engineer turned artist. Received BFA in printmaking. I developed a nice tile clay body using the glacial clay from the inlet next to Anchorage. I sell at the Anchorage weekend market, Anchorage Museum, Alaska Native Heritage Center, and Alaska Native Arts Foundation. Also started going outside to large arts and crafts fares. 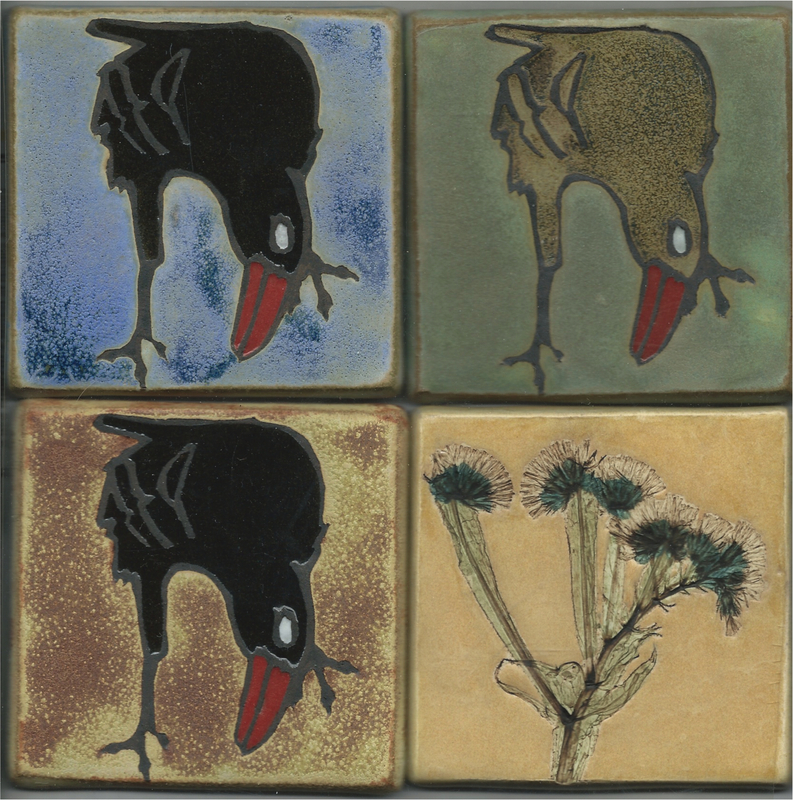 This entry was posted in 4" Tile, Leaf Impression and tagged Alaska tile, ceramic tile, collagraph, flower impression, glacier clay, Raven. Bookmark the permalink. Thx for sharing insight to your process.